Rosalyn Spencer graduated from the University of Louisiana with a B.A. in English and a minor in Women Studies. She has a Masters in Library Science from North Carolina Central University, directs Project S.O.U.N.D. (an arts and activism group), coordinates children’s programs at the Thensted Center in Grand Coteau, Louisiana and teaches English and Language Arts in Jefferson Parish, Louisiana. She is a freelance writer, advocate and supporter of the arts in education. Photo by Amie Rogers. Kenning JP Garcia is the author of This Sentimental Education, ROBOT and Yawning on the Sands. They are originally from Brooklyn but currently reside in Albany, New York. They have a degree in linguistics and spent a dozen years as a cook. Now, they spend their nights putting boxes on shelves and their days reading comic books and writing poetry. They are the Editor-in-Chief of AltPoetics and Assistant Editor at Horse Less Review. Photo by Katlyn Celentano. Carla Williams is a writer, editor, photojournalist and photo historian who has worked in the arts for thirty years. 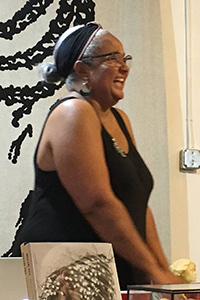 Now, she seeks a more direct relationship with artists, through her store, Material Life, in New Orleans, which specializes in affordable art items by black artists. 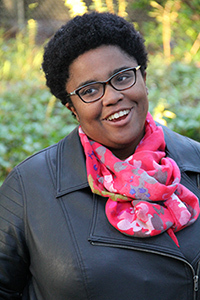 Editing is a passion of hers, and her favorite authors include Erik Larson, Michael Connelly, and Tayari Jones. She has lived in California, New Jersey, New York, New Mexico, and now Louisiana. Photo by James Robertson. 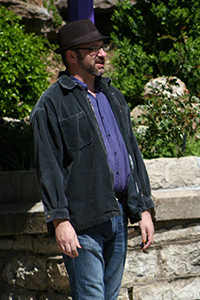 Jonathan Penton founded Unlikely Stories in 1998. Since then, he has lent editorial and technical assistance to a number of literary and artistic venues, such as MadHat, Inc. and Big Bridge. 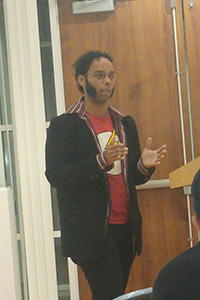 He has organized literary performances throughout North America. His own books of poems are Backstories (Argotist E-Books), Standards of Sadiddy (Lit Fest Press), Prosthetic Gods (New Sins Press), Blood and Salsa and Painting Rust (Unlikely Books) and Last Chap (Vergin' Press). He is currently working on an opera. Photo by David Carlisle.